It's valentine making time! Once again Lorraine will lead February's workshop to make valentines for our friends and families as well as people in the community. This is the 12th year that Lorraine has spearheaded this very worthy project to distribute original valentines to senior lunch sites, kidney dialysis patients, people living in local convalescent and board and care homes, and participants in the Senior Nutrition home delivered meals program. 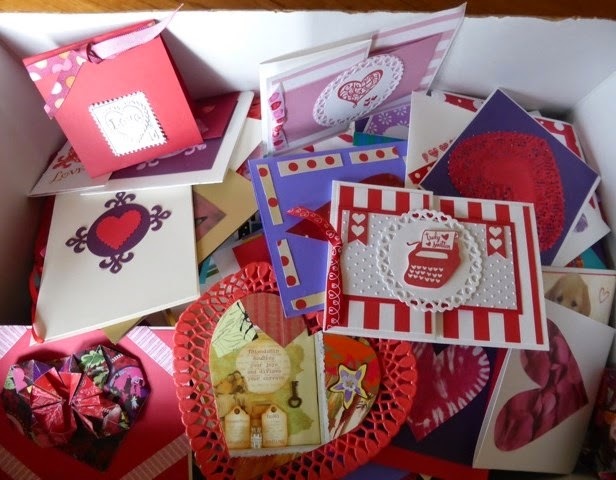 Last year Lorraine distributed 950 valentines...many made by NORBAG members. If you aren't able to come to the meeting/workshop, but would like to contribute your own handmade valentines, please contact Lorraine, her contact information is in the newsletter.